A trail which connects the Marmitte dei Giganti, spectacular geological pothole formations, with the Castagneto di Nago chestnut woods where these majestic trees are tended by the locals for their fruit which plays such an important part in local tradition. 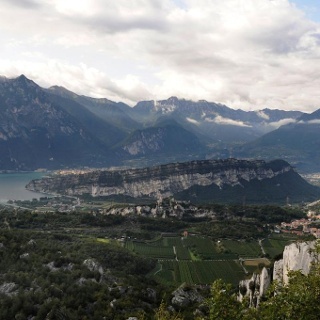 This trail focuses on some of the typical features of the Garda area, and all with a view of the lake. 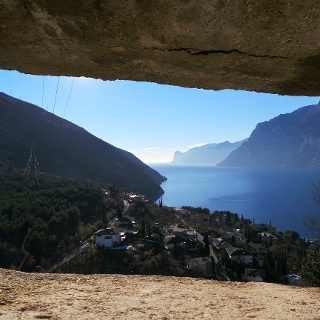 From Torbole, the trail runs past the glacial potholes and then heads up to the Castegneto chestnut wood, where you have a wonderful view of Torbole and the lake below. Watch out because the stretch leading up the chestnut wood is short but quite steep! 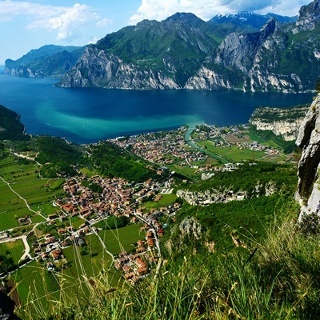 Don't forget to take your camera: the view on lake Garda is really unforgettable! 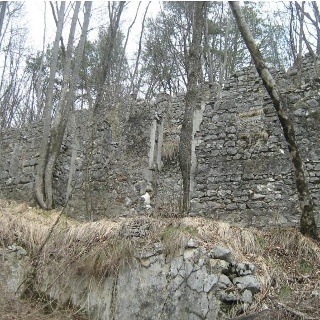 The Monte Corno area where the Castagneto chestnut wood is situated was on the Front held by the imperial Austro-Hungarian army during the First World War: there are still stretches of trenches and various buildings restored by local associations which are open to visitors. For anybody interested in visiting these trenches, you can follow signposts in the area and then head back down to Nago on trail SAT 637. The Marmitte dei Giganti are glacial potholes (known as the Giants' Potholes) formed millions of years ago by the erosion of the rock. These great cavities have a diameter of 4 or 5 metres and are as deep as 12 metres. The potholes were formed by the melting of the glaciers which modelled the rock and polished its surface. The potholes often occur together with other natural karst phenomena such as striated rock, sheepbacks and glacial shift. 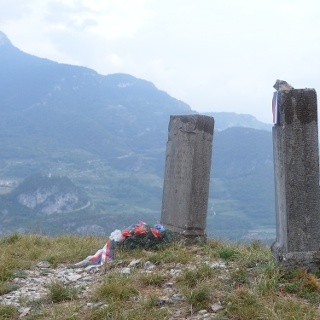 Head north from the centre of Torbole along via Strada Granda where the path begins which leads up the valley at the foot of a high limestone wall to the glacial potholes. Cross the main road and continue uphill along the dirt track which goes to Nago. 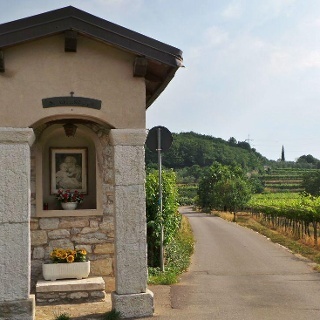 When you come out at the roundabout, take the trail on the left for Castagneto (uphill towards the residence Nido d'Aquila) which climbs up the slopes of Monte Perlone. On your right, on the Nago side, you will come across other interesting glacial potholes. Torbole is connected to the other town of Garda Trentino with different lines of public transport. There are a number of different free or pay parking spots in Torbole sul Garda in via Strada Granda.